Writer Joanne, her husband, 16-year-old daughter and their Border Collie enjoyed an Unique Home Stay in Devon this summer. For this summer’s holiday we decided to stay in the UK and started looking for luxury dog-friendly cottage holidays in the Devon/Cornwall area. Our 8 year old Border Collie Rosie is an important part of our family so it would never be an option to leave her behind. One of the most appealing websites for luxury accommodation was Unique Home Stays. The photographs of the properties and surrounding areas are beautiful and I found the search engine very user-friendly. A main factor in my search was size and style of property. 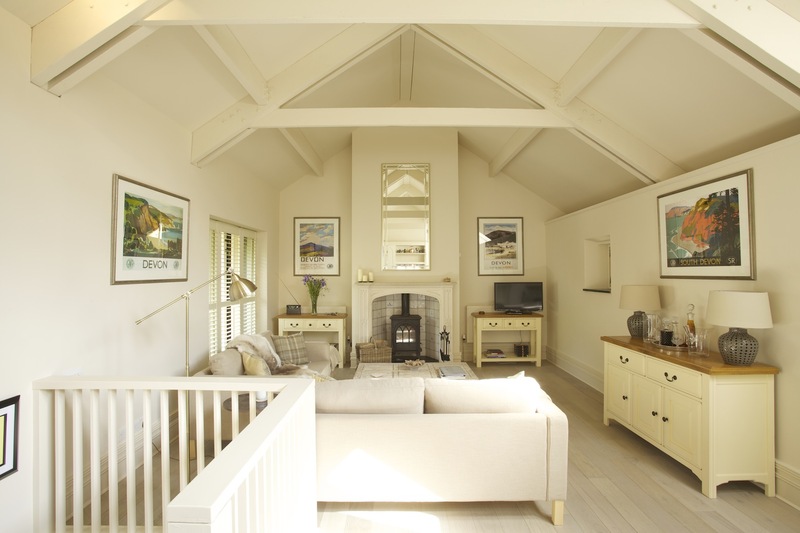 We wanted a 2 bedroom cottage but it was important that it had a large main living area. I also prefer light and modern decor to more traditional farmhouse styles and the cottage had to have WiFi for our 16 year old daughter Rhian! The next consideration was location. We love rural areas, and prefer woodland, rivers and rambling hills to beaches and seafronts. The Cowshed sounded perfect as it was in hamlet in Dartmoor, close to several cycling tracks for Paul, a keen downhill mountain biker, and unlimited walks. Also an important factor in our holiday is that we can eat out every night, so the proximity to the town of Chagford sounded ideal, as it has at least 6 different pub/bistro options. 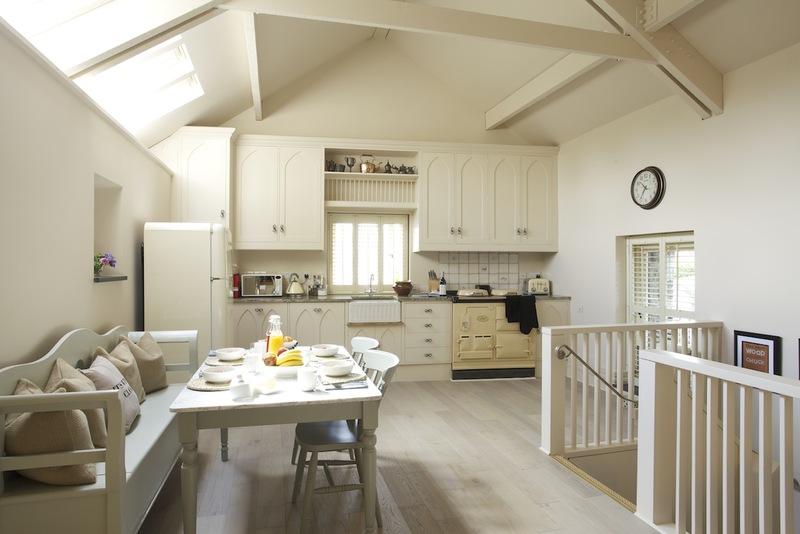 When we arrived at The Cowshed (also known as The Granary) we weren’t disappointed. 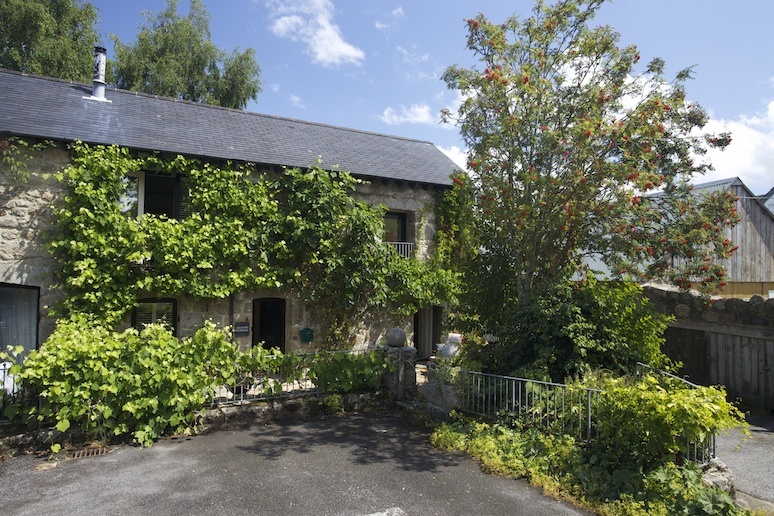 It was a beautiful stone cottage, in a private courtyard of five properties. Each is unique with its own parking and small courtyard seating/barbecue area. The 2 bedrooms were downstairs, both ensuite, and there was an extra WC in between the 2 bedrooms. The staircase led up to a large open plan kitchen/living area and this was what had the WOW factor for me – beautifully decorated and furnished in white/cream, with wooden floors and soft rugs, chic cushions and throws. It had a very warm, comfortable and modern feel with plenty of light from French doors that opened onto a small balcony. The kitchen had a stylish Smeg fridge, an Aga range cooker (which we didn’t use as cooking wasn’t on the agenda!). Everything had been thought of, even for Rosie – a box of doggy biscuits, feeding bowl and mat had been provided for her. sun’s out! time for a walk! It was very easy to get out and about. We would start the day with an early morning walk, either direct from the property, or a short drive to national park reservoirs, lakes and riversides. We’d head home for a light lunch, and then take a drive to nearby towns, such as Moretonhampstead, Newton Abbott and Ashburton (our favourite). We would then choose a nearby pub for our evening meal. Chagford has several (all but one or two allow dogs) and our favourite was the cosy and welcoming Globe Inn. Great choices on the menu for us all, and a fantastic roast on Sunday. Then back to the cottage for a snug evening of TV and a glass of wine. ah, feels like home already! One of our favourite walks was Fingle Bridge, a short drive from Chagford, with parking, a long riverside path, and a pretty pub just next to the bridge. The pub itself was a great place to stop for a drink, but the food very disappointing. We went one evening and Paul and I had chosen the curry of the day, which was very watered down and flavourless. Another lovely walk just five minutes from the cottage was at Stone Lane Gardens, a woodland with a huge collection of Birch and Alder trees, and a mythic garden sculpture exhibition by local artists, all hidden around the woods. More information: www.uniquehomestays.com +44(0) 1637 881183.